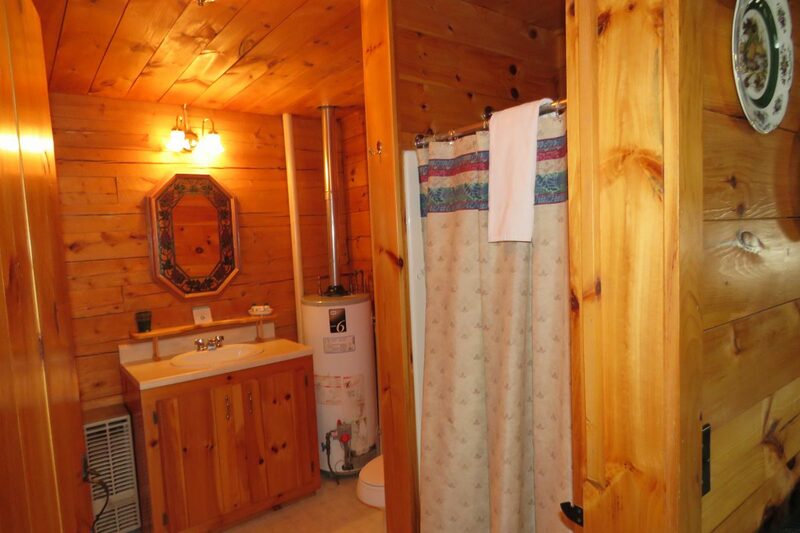 Two bedrooms (Queen, Queen plus twin), ¾ bathroom. Sleeps up to 5. 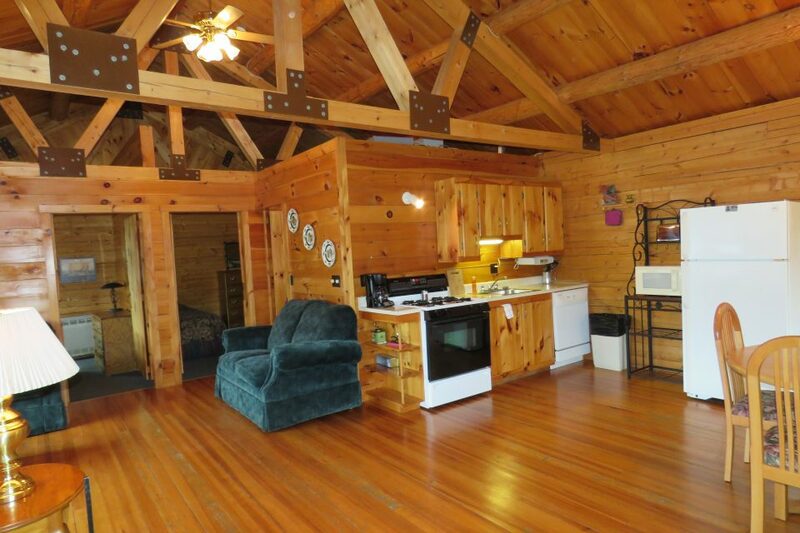 Cozy one-level log cabin on the shore of First Connecticut Lake, with open beamed ceiling inside, large open kitchen to the dining room and living room. 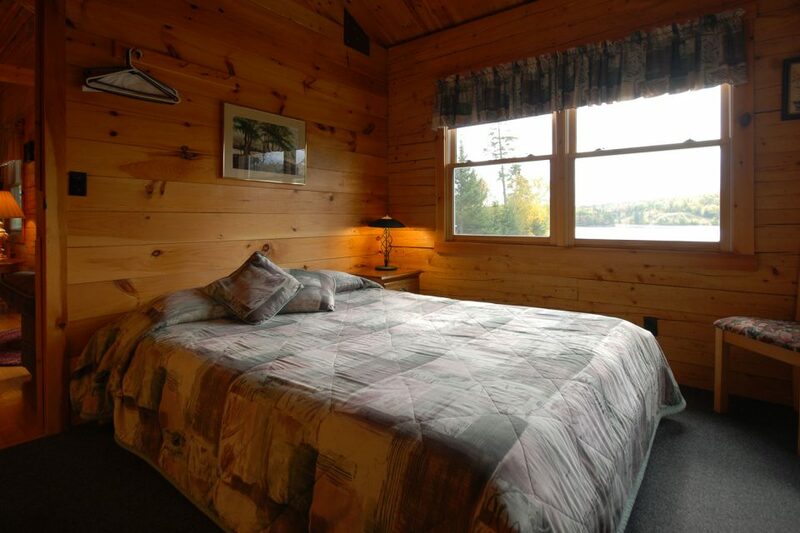 Relaxing views of the lake and woods beyond. Weekly Rate	 $1560.00 for 2, $252 per additional adult. Notes: Prices exclude a 9% NH Room and Meal’s Tax, and a $2 per night charge for the North Country Chamber of Commerce’s Destination Fee Program. Oct 5-8 was our 2nd annual father/son Fly fishing trip to Lopstick. All I can say is there will be a 3rd! Everything about Lopstick is geared to making your stay perfect. 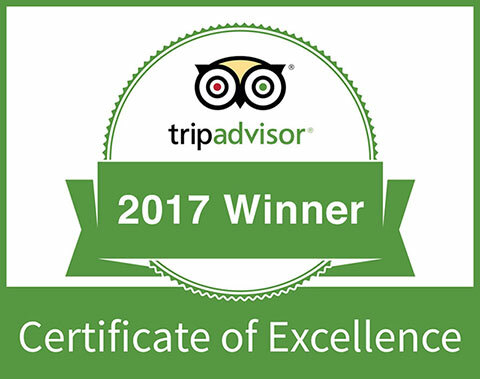 The staff is exceptional and I really cannot think of anything I would have changed. We stayed in Serenity, a cabin on the shore of First Lake. I wish I could buy it and make it our own camp. 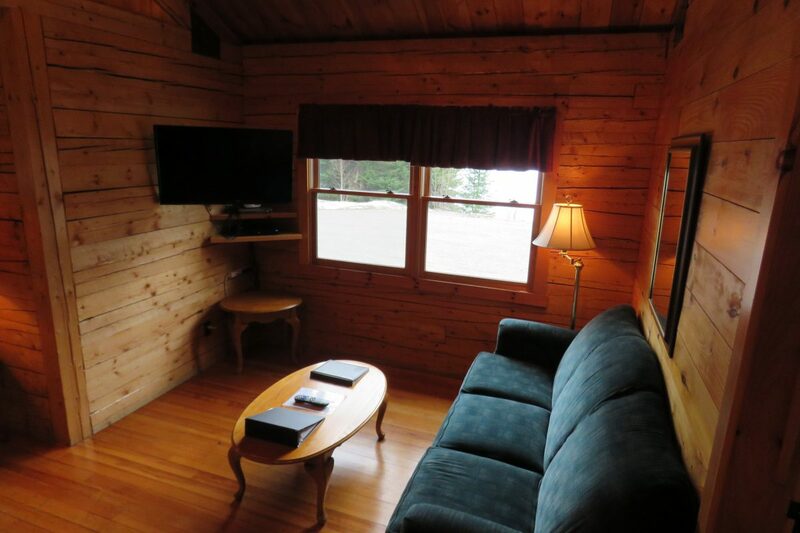 Very clean, well outfitted, good WiFi, satellite TV, a nice view of the lake and very quiet. Once again, we took advantage of having Bill and Greg, the Orvis Certified Fishing Guides at Lopstick, take us out for 2 full days, 1 drifting down the Androscoggin and another wading Trophy Stretch and the surrounding area. Regardless of your experience level, these gents will make you better! The fly shop is well stocked and is able to provide you with everything required for a day in the river or just that one fly you need to net the fish today. If you are looking for a great vacation and some wonderful memories, book your stay at Lopstick Lodge and enjoy. Being a Sales Director with Hilton Hotels, my expectations may sometimes be hard to meet or exceed. Each and every time we visit Pittsburg we stay in one of the Lopstick cabins (the ONLY place we stay while in Pittsburg-other than our friend’s vacation house up there.) Each and every time we arrive, we are treated like family. Every staff member goes above and beyond and treats us with the utmost professionalism while delivering sincere kindness. 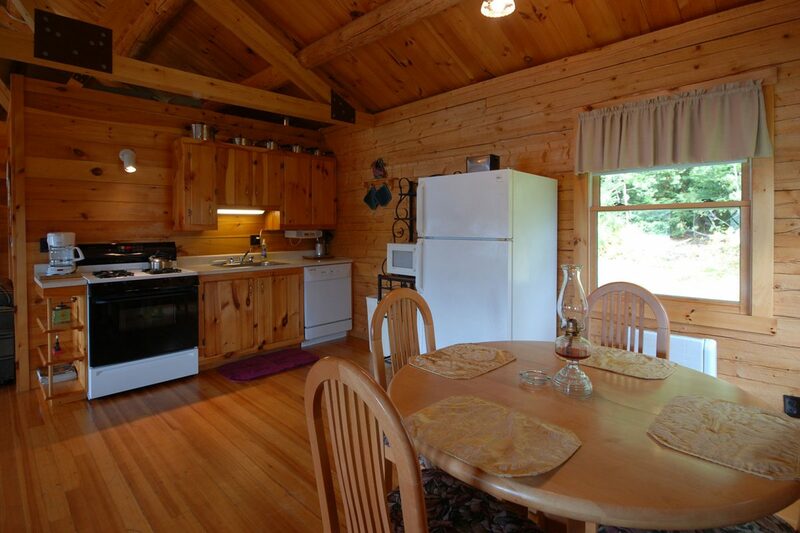 Each and every cabin we have rented has been clean and always equipped with everything you need-right down to the coffee makers, pots and pans, dishes, extra blankets etc. All you need to bring with you is your personal items and food-and in the winter months….the snowmobiles of course. 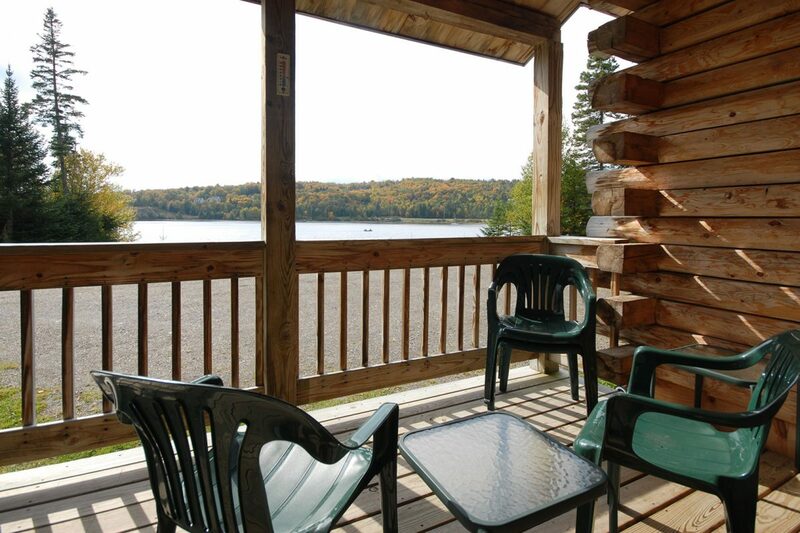 :) The views from most of the cabins are spectacular and serene. Once we’re up there, we never want to leave! 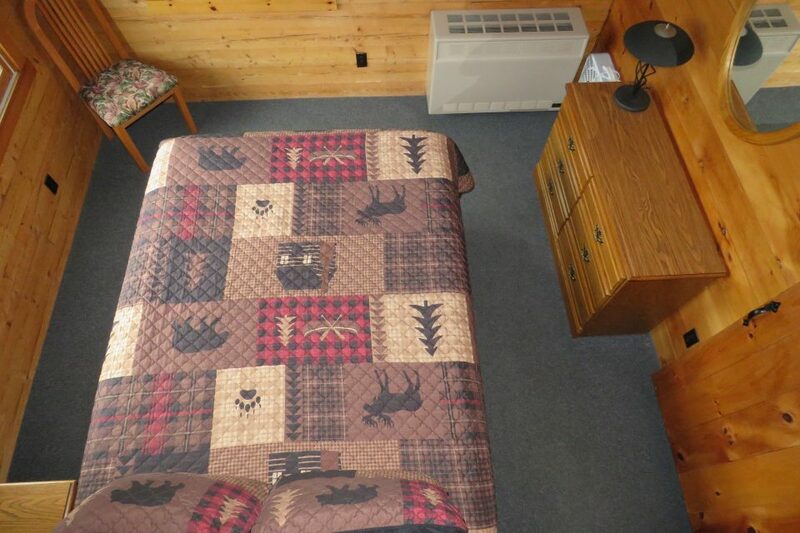 I strongly recommend The Cabins at Lopstick the next time you are planning a trip to The Great North Woods! We were a family of 4 from CT looking to try out snowmobiling for the first time. 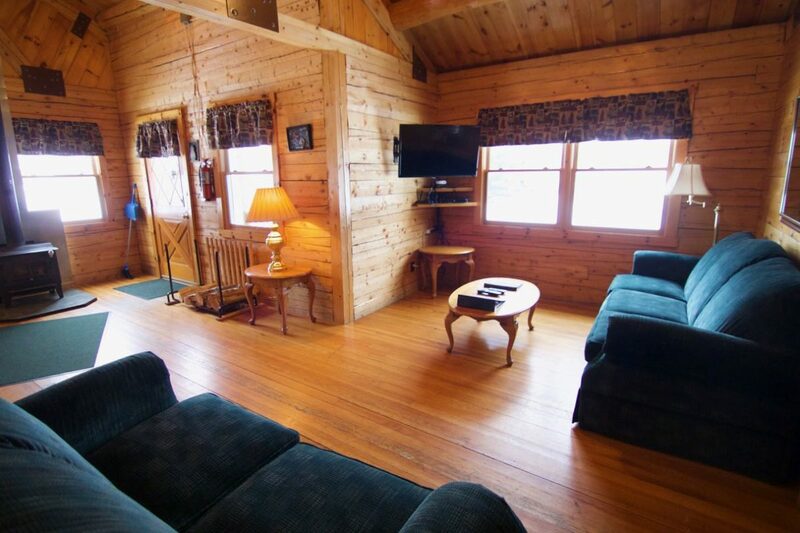 Rented two nights at Serenity cabin and two double snowmobiles. 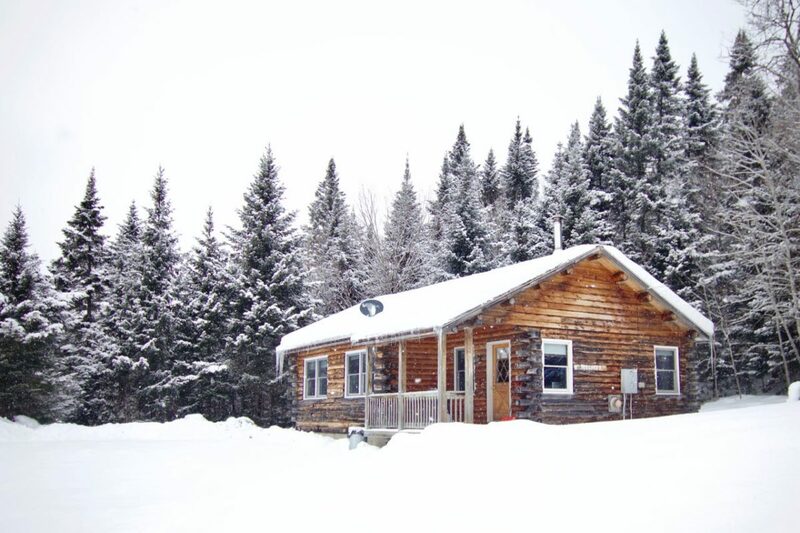 The cabin was comfortable & clean, the snowmobiles and trails were awesome, and the service/staff (and reservation process) were fantastic. Definitely recommended! 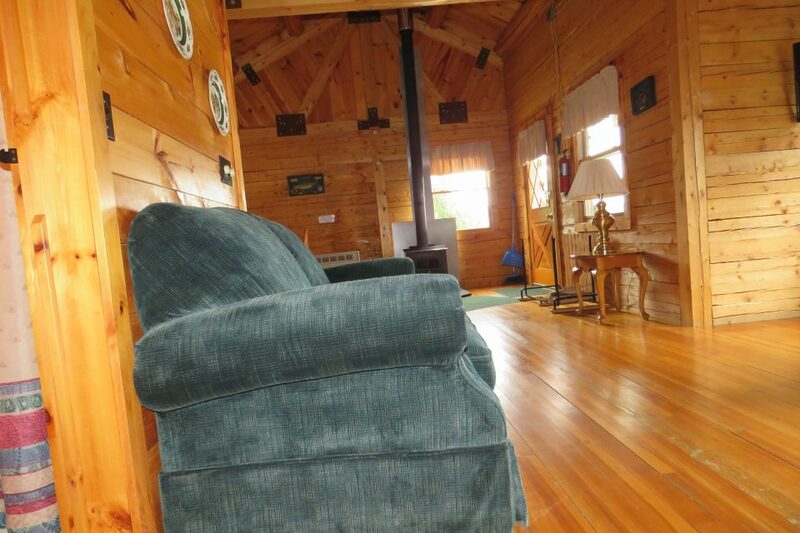 We stayed in the Serenity Cabin at Lopstick with our two grandsons. 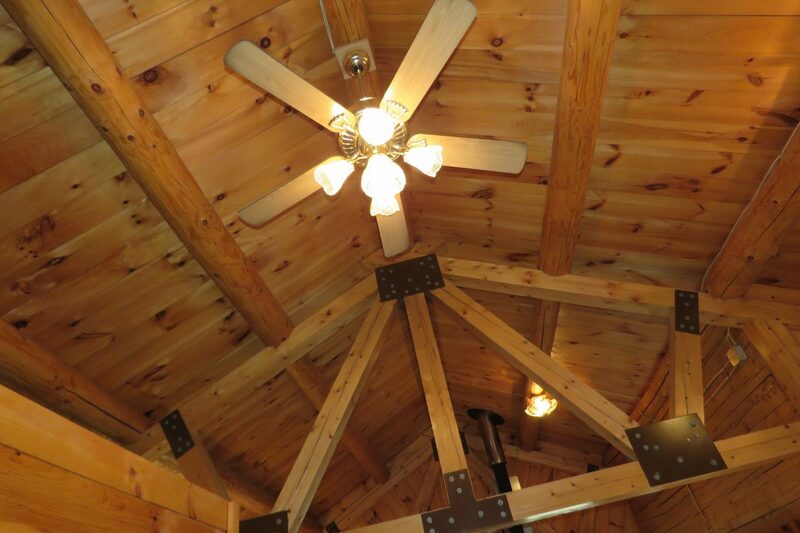 The waterfront log cabin was even more beautiful than the pictures posted on their site and the view as breathtaking, day and night. The kitchen had everything needed from appliances to utensils and cookware. We used the outside charcoal grill too. We were fortunate to have clear night skies…so many stars, it was hard to identify constellations. The lake itself was calm so boating with the boys was wonderful, even if we didn’t catch any fish; cruised Moose Alley, saw a deer but no moose. 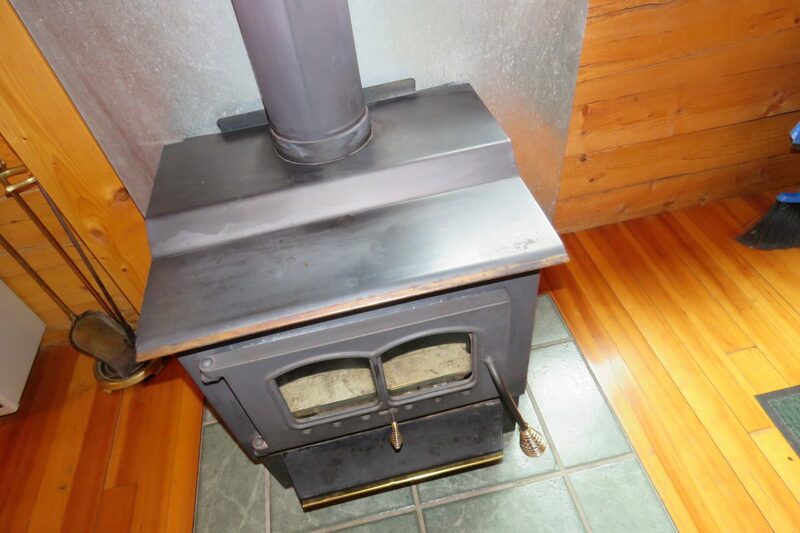 We used the wood stove to warm the cabin at night instead of the gas heaters and loved it. One of the boys left a game cartridge case with Nintendo games in it and they are mailing them to us. We definitely enjoyed our weekend getaway and hope to return in the near future!